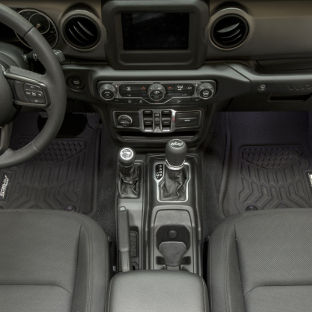 StyleGuard XD® floor liners are unique from other custom fit floor mats because they perfectly balance style with exceptional interior protection. They feature a patented OmniGrip® anchoring system, a triple-layer construction, integrated channels to direct the flow of liquids and a sleek, functional finish. 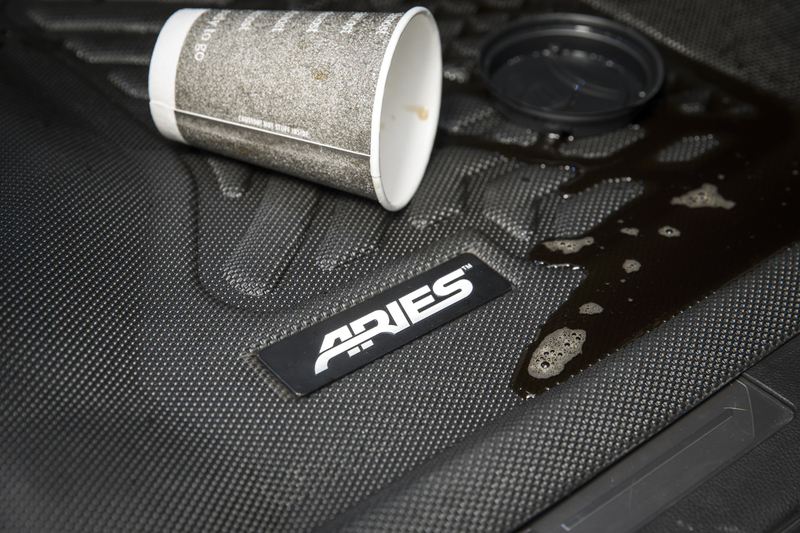 Each set of StyleGuard XD® floor liners is laser-measured to perfectly fit your truck, Jeep or SUV, and they are constructed from lightweight materials for easy installation and removal. Why choose between style and durability? 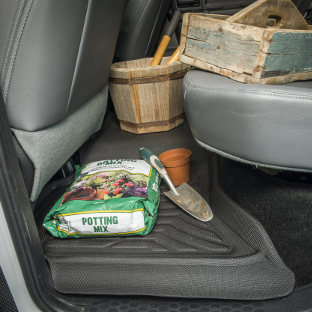 With StyleGuard XD® floor liners, you get both. 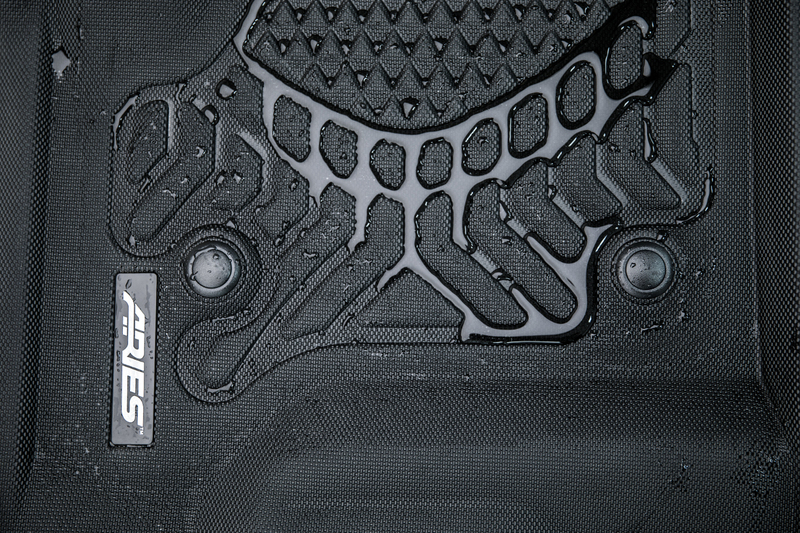 They feature a unique, three-layer construction for a safer, more comfortable ride and superior floor protection. 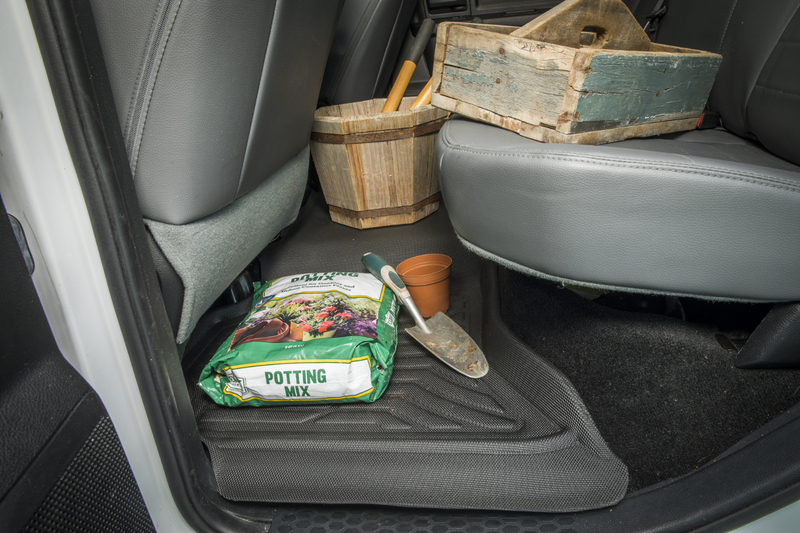 Seat Defenders™ are use-as-needed seat covers that are easy to install, remove, clean and store. 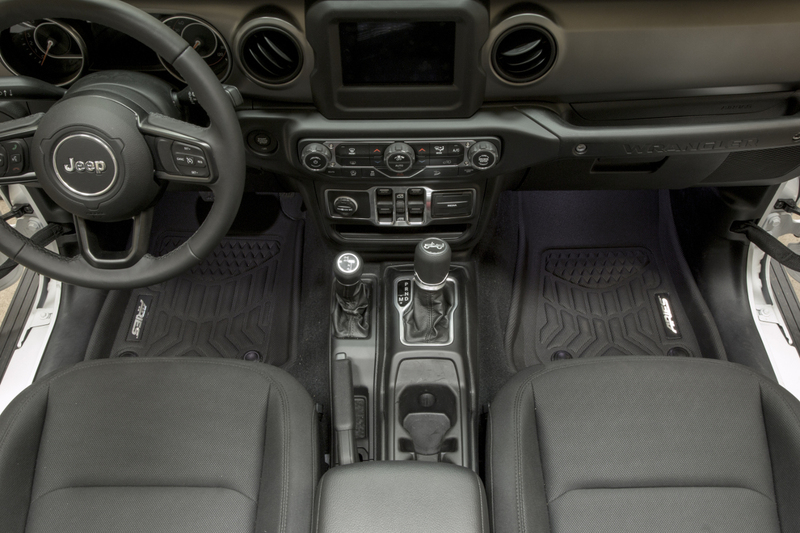 Together with StyleGuard XD® floor liners, you get complete interior protection. 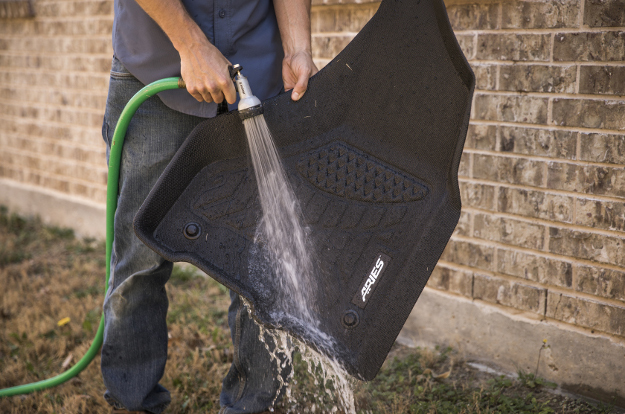 While other custom floor mats and floor liners use plastic nubs or spikes to help prevent shifting, StyleGuard XD® offers a truly reliable solution. 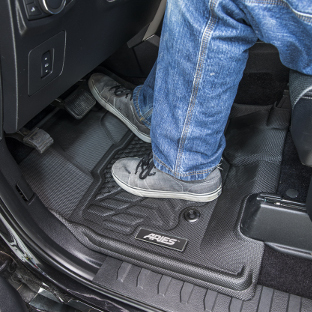 Each floor liner is covered with a bottom layer of thousands of patented OmniGrip® fibers. These wire-like bristles dig deep into your vehicle’s carpet and keep it anchored to the floor, preventing movement and increasing safety. They keep the floor liners fixed in place until you're ready to remove them. 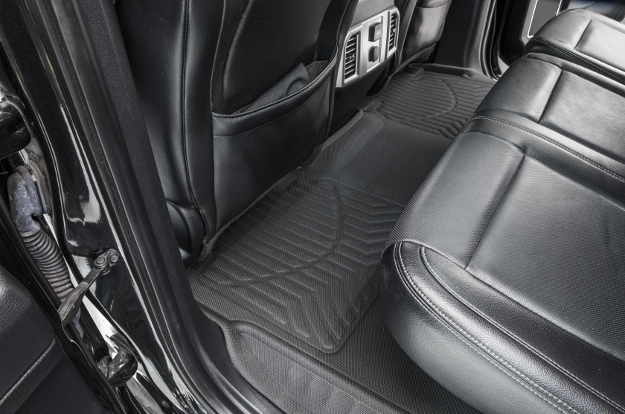 The middle portion of StyleGuard XD® custom floor liners is a generous layer of cross-linked polyethylene foam (XPE). 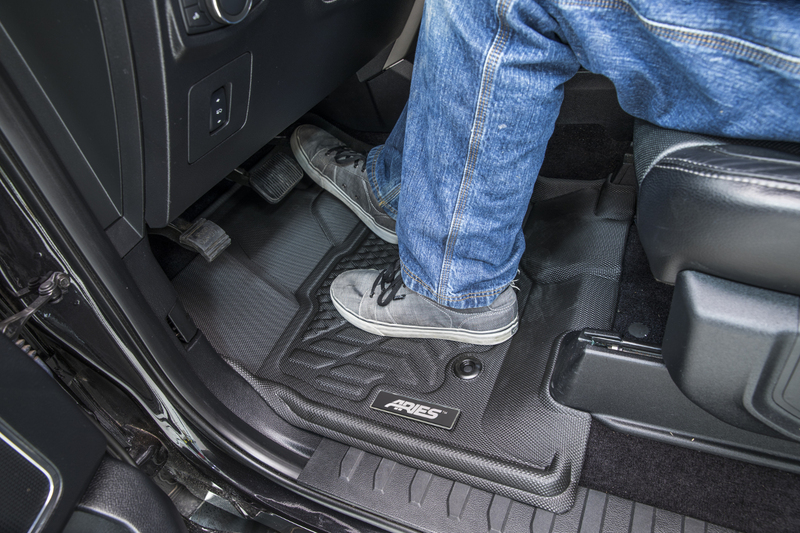 This semi-rigid foam not only helps give the floor liners their shape but also provides a more comfortable step. XPE enhances the comfort of your ride with its sound-dampening and thermostatic properties. It helps reduce undesirable road and engine noise and helps block temperature transfer to keep the cab of your vehicle more comfortable. 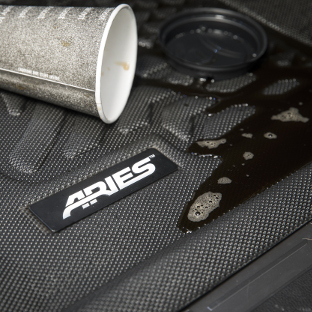 To protect your truck, Jeep or SUV from all manner of spills, dirt and debris, StyleGuard XD® floor liners are finished off with a top layer of durable thermoplastic rubber (TPR). 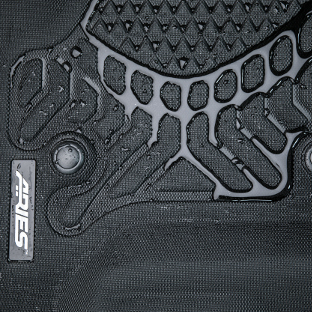 TPR is waterproof to block liquids, and it is tough to stand up to regular foot traffic. 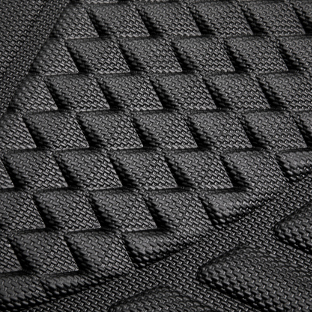 The surface of StyleGuard XD® floor liners also feature a fine texture. This not only adds a sleek, stylish look to the interior of your vehicle, but it also increases traction for a better non-skid surface. 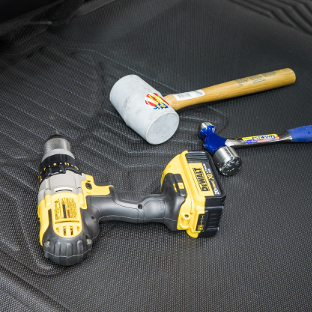 StyleGuard XD® floor liners couldn't be simpler to install, remove, clean and re-install as needed. 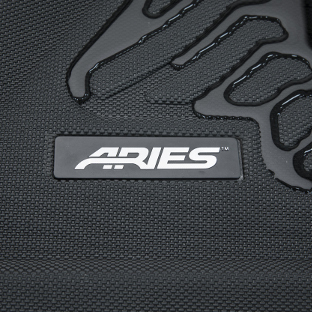 Their three-layer construction is comprised of lightweight materials that make it easy to drop the floor liners into place and pull them out again. They also feature raised edges and integrated ridges that channel and contain liquids and debris, even over rough roads and trails. 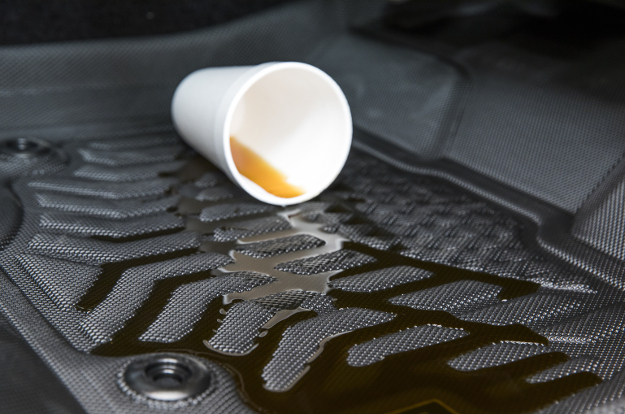 When it's time to clean, the floor liners can easily be lifted out of the vehicle, hosed off and left to air-dry. Then, reinstall, and you're ready to hit the trails again. 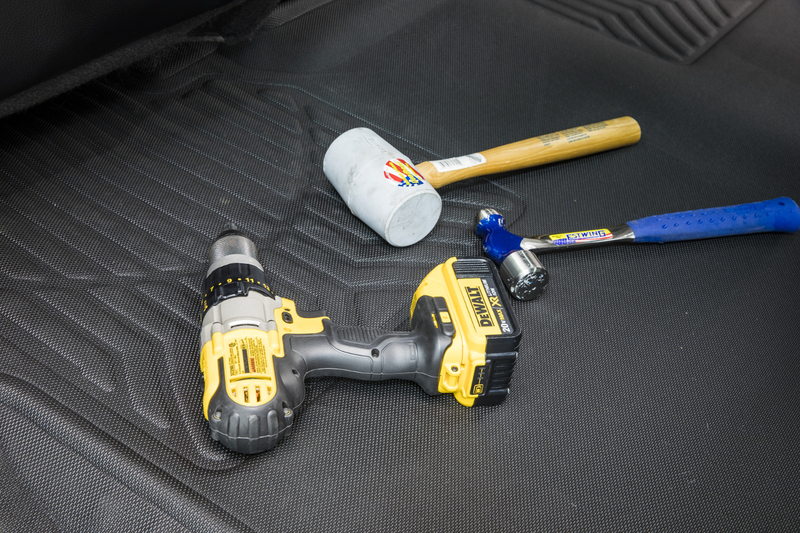 StyleGuard XD® floor liners are custom-fitted for each and every application. This ensures a perfect contour to the floor of your vehicle, resulting in better functionality, a better finished look and the best possible traction. 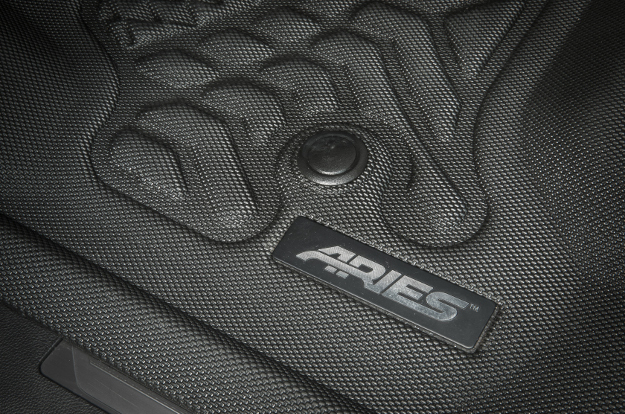 Each floor liner is laser-measured with a digital laser to absorb every facet and nuance of the shape of the vehicle's floor. They are then formed to those exact specifications for seamless fit. You know never know what the road or trail has in store, and it pays to be prepared. 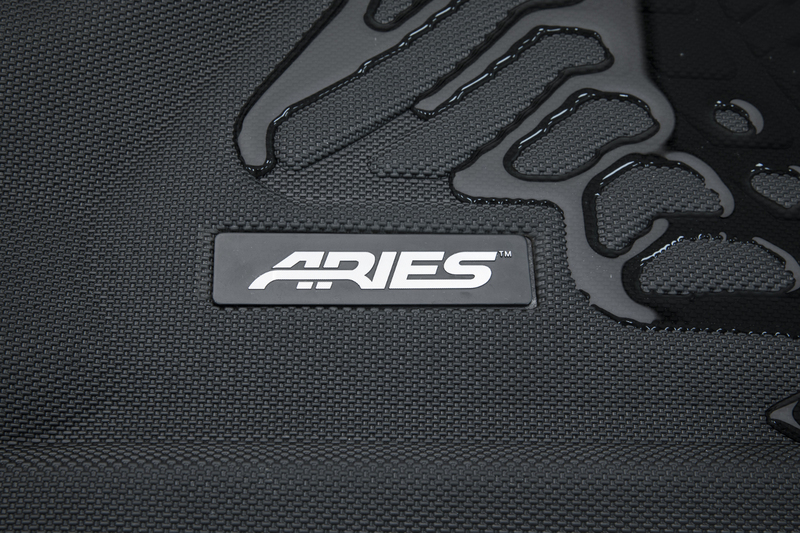 ARIES StyleGuard XD® floor liners are not just about adding a sleek look to your vehicle's interior but supporting your adventures with truly dependable protection. 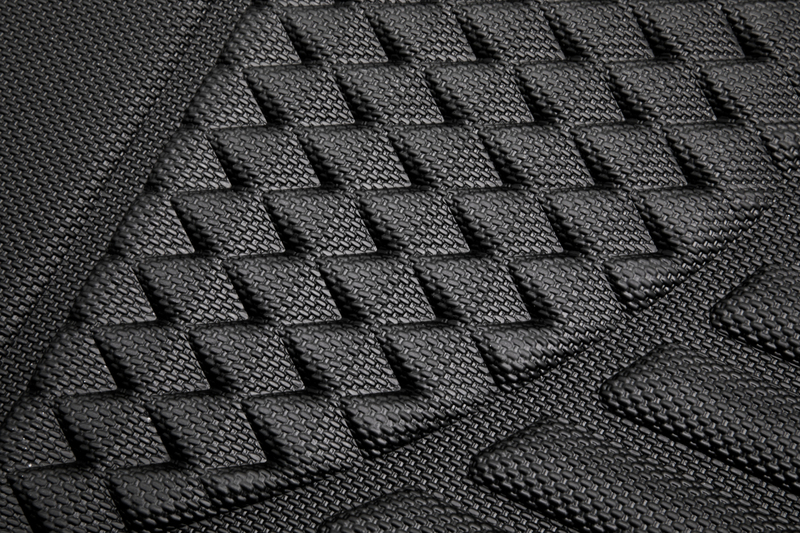 For additional safety for you and your crew, StyleGuard XD® floor liners are tested with an official fire-rating. They are tested according to FMVSS 302 specifications and are rated as fire-retardant.